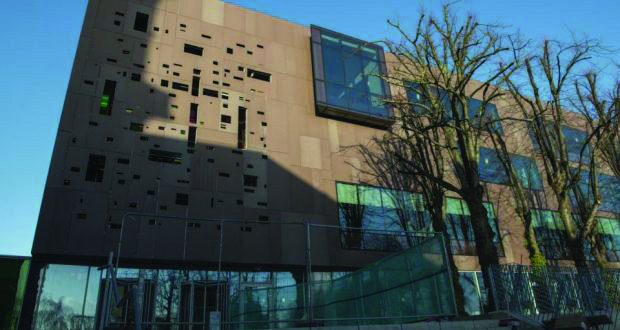 A new permanent Students’ Union Centre opened up on St. Patrick’s Campus DCU in block D as a result of the Incorporation Programme, which included an integration of DCU’s Glasnevin and St. Patrick’s Student Unions. Vice President for Education and Placement, Manus McLoughlin, said he believes the new centre has been an overwhelmingly positive development for students as well as officers that now have a permanent space to work. “This is something which we’ve never had before, we have had to move every year to a new room, new office, new block so it’s great to see it in a permanent space for once,” said McLoughlin. Primary school teaching student Críostíona Ní Laimhín said that while she feels St. Patrick’s students were better represented when they had their own SU, there were also advantages with becoming closer to DCU and the SU this year have done the best they can. “It’s good to know that there’s a fixed place we can go for help, and that it’s close by too,” said Laimhín . “Glasnevin is so far away especially when you only have like one hour off between 9 and 6. Irish and Journalism student Ali Spillane studies on all three DCU campuses: Glasnevin, St. Patrick’s and All Hallows. She said St. Patrick’s students often feel outnumbered and overpowered by Glasnevin students, but the new SU block will “help make the ‘us and them’ more of a ‘we'”. “Many [St Patrick’s and All Hallow’s] students are confined to one campus for lectures and so would not really be on Glasnevin, “explained Spillane, saying it will be “easier for SU reps to recognise and deal with [students’] issues if they are present on the campus”. The new Students’ Union space is open to all DCU students. SU Reps rotate spending time in the block to ensure accessibility to both campuses.